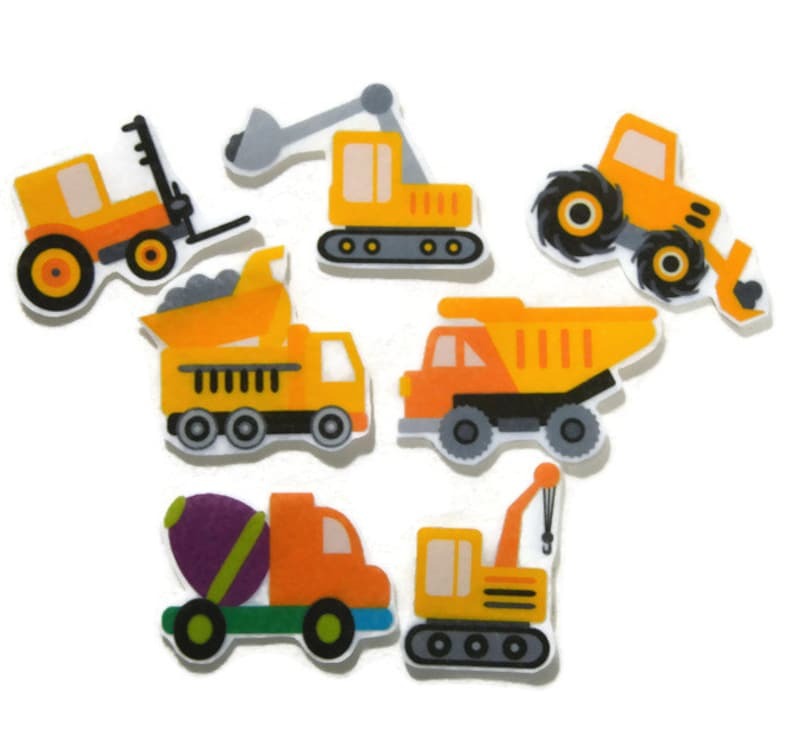 This fun construction vehicles set is perfect for your little one! These are great for independent, quiet play or group activities. Each piece is made from felt and will stick to felt or flannel and measures about 2.5 inches tall. This set includes 7 pieces. Available in 2.5 inch or 5 inch. It is also available uncut, with a savings of 25%. If you choose this option you will receive a sheet with the pieces that you can cut on your own. Really pleased with item, very cute. Thank you.